Monkey. So stinkin’ cute. There’s also a cute Curious George version. If I didn’t already have our family’s costume decided for this year, I would highly consider making my husband dress up as the man in the yellow hat because my daughter LOVES curious George. There’s also a cute sock monkey costume that’s only $13 right now. Pink Bunny. This one is probably my favorite. Lion. The big furry one pictured above can be found here and as of right now is under $20. Octopus. This one makes me giggle every time I see it. Mermaid. My friend totally bought this costume for her baby last year. Probably not the warmest if you are taking your baby trick-or-treating though. 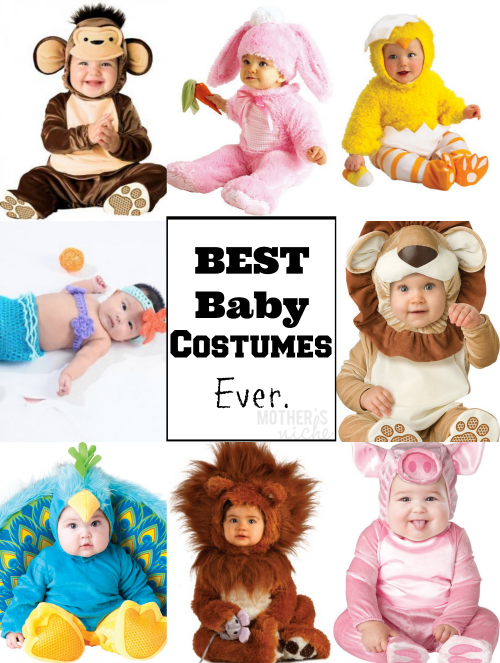 Obviously I could keep going, but if you have a baby, you really should check out the other baby costumes yourself. That way you can sort by price if you have something a specific budget for your costumes this year! 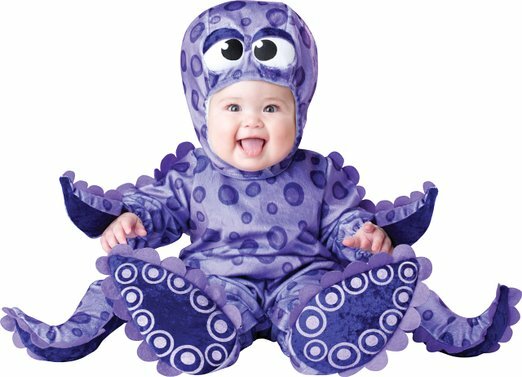 What are you dressing your baby up as this year?